The Climate Change Adaptation and Resilience Strategy is being created in consultation with the scientific community and subject matter stakeholders, and by researching best practices and experiences of other similar cities around the world. 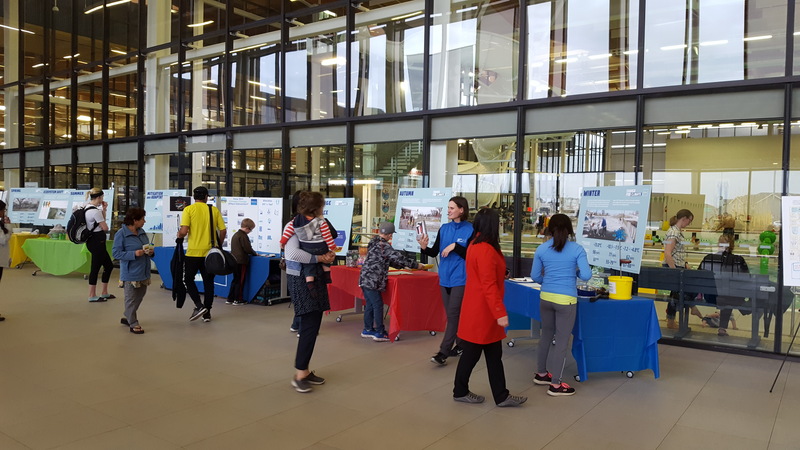 Throughout May 2018, over 750 citizens engaged with staff at information sessions that were designed to share the City's progress on developing a plan for adapting and being resilient to a changing climate. 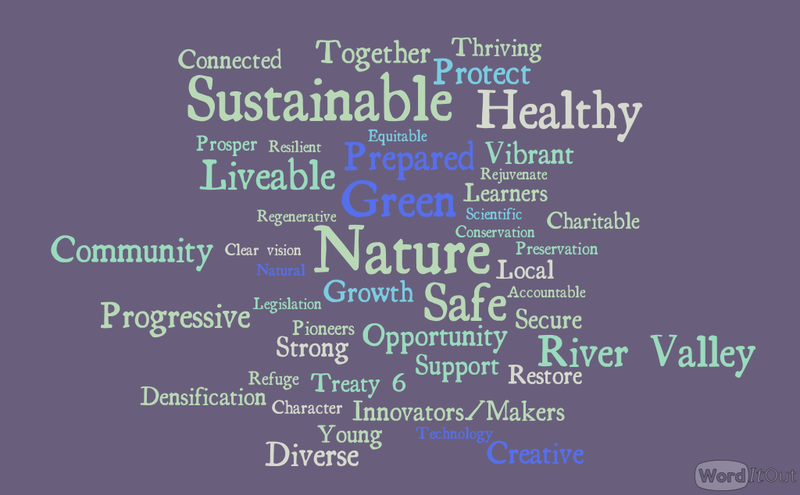 Citizens left comments and contributed to the vision for a climate resilient Edmonton. A draft strategy will be presented to City Council this fall. 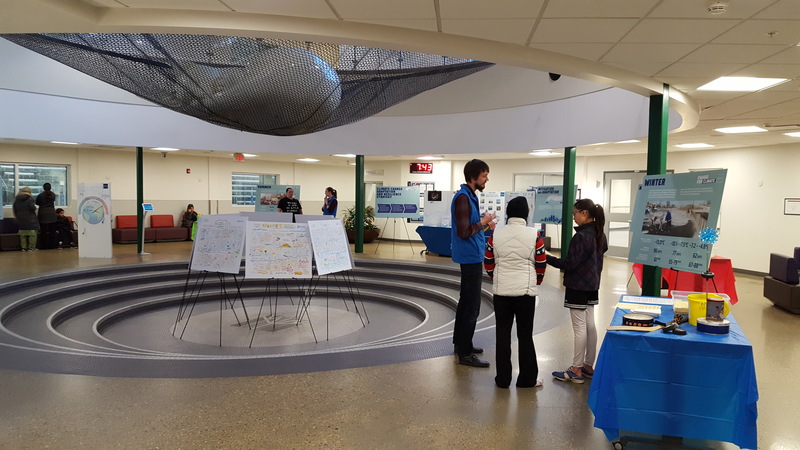 The open-house style sessions presented a variety of information, including project timelines, definitions, seasonal climate change predictions, and graphic displays depicting the results of stakeholder workshops that occurred earlier this year. The sessions were designed to be informative and engaging for both the well-informed and those for whom the topic is relatively new. Displays were set up in locations that naturally attract hundreds of citizens: Community Recreation Centres, Get Ready in the Park event and downtown workplaces. The “750” represents the number of people who stopped to talk to staff and view the many displays. Over 270 comments and words were collected on “vision” sheets and comment boards. During the sessions, citizens were asked to share words or statements that represented what they value about Edmonton. Some of the more popular themes expressed included "sustainable, safe, healthy, green and liveable." The River Valley was also mentioned a number of times. This word cloud provides a sense of what we heard. Some participants tried their hand at drafting a vision for a climate resilient Edmonton. Innovation, collaboration, Treaty 6 recognition, diversity, prepared, connected and vibrant are some of the themes that emerged. Other comments and ideas for adapting to a changing climate that were shared included water misters to stay cool; water-efficient/drought tolerant plants; climate leadership training; more rain barrels; more bike lanes; encourage public transportation.